Our larger blue enameled medical id necklace emblem measures 1 inch in diameter. You can engrave up to 10 lines of medical information on a special disc that we attach to the back of this med alert. 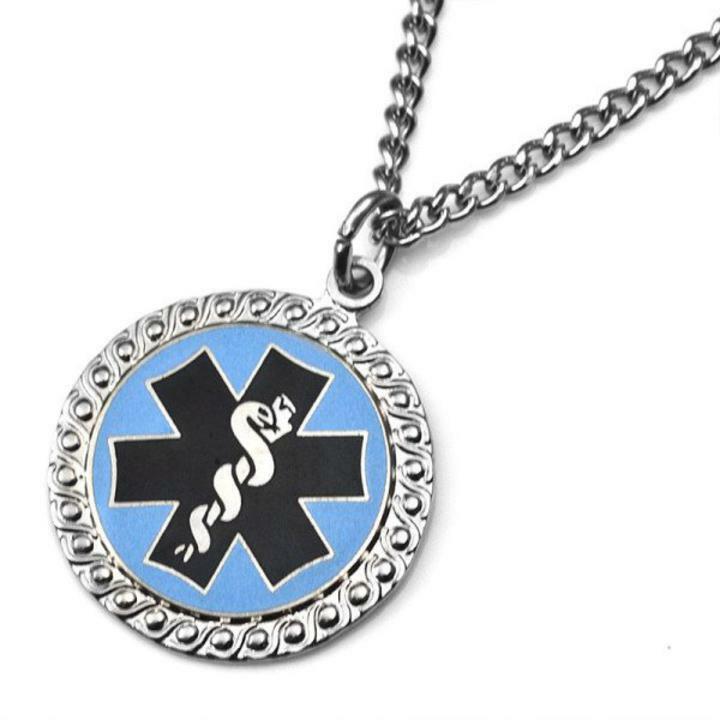 The hard fired enamel is blue and comes with a standard 27 inch stainless chain. We also offer this item in red with gold tone trim.